"Kidsgrove is situated north-west of The Potteries on the border with Cheshire. It is a former coal mining village, which grew into a small industrial town in the late 19th and early 20th centuries. It is famous as the location of the Harecastle tunnels on the Trent and Mersey Canal. The name Kidsgrove is thought to derive from a British dialect word ‘crew’ meaning a pen, sty or stall. So the meaning is thought to be ‘the place of the stall of the calves’. Until about 200 years ago Kidsgrove was known as Kid Crew but in the late 18th century, the element ‘crew’ was replaced by ‘grove’. Kidsgrove’s development is owed to the impact of the Industrial Revolution in terms of both transport and industry. First the building of the Trent and Mersey Canal, begun in 1776, offered the means to transport both natural and manufactured products in and out of the Potteries. James Brindley, the great canal engineer, was the master mind. It was Brindley who designed and built the smaller of the two Harecastle tunnels through Harecastle Hill at Kidsgrove. This task took eleven years to complete and presented enormous difficulties. However the work to create the tunnel also led to the discovery of coal in the area and resulted in the fairly swift and simultaneous development of coal mining in the area. The increasing volume of freight traffic on the Trent and Mersey Canal led to the construction of a second tunnel at Harecastle to help to relieve the congestion. This was engineered by Thomas Telford between 1824 and 1827. 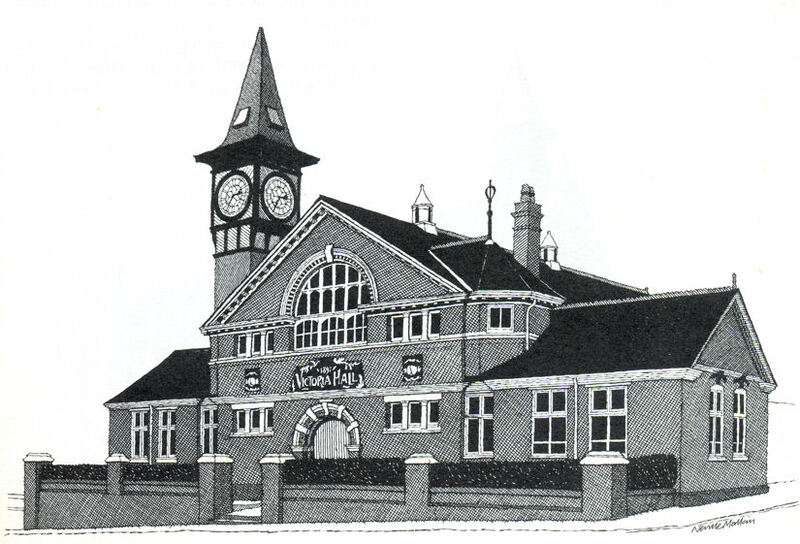 By the 1960s Kidsgrove was described as a ‘very largely modern town of comparatively recent development’. This was an allusion to the fact that by then much of the old unsatisfactory housing for industrial workers had been demolished and replaced. Kidsgrove has another claim to fame, its own apparition known at the Kidsgrove Boggart, a headless apparition of a woman murdered on the canal tunnels." 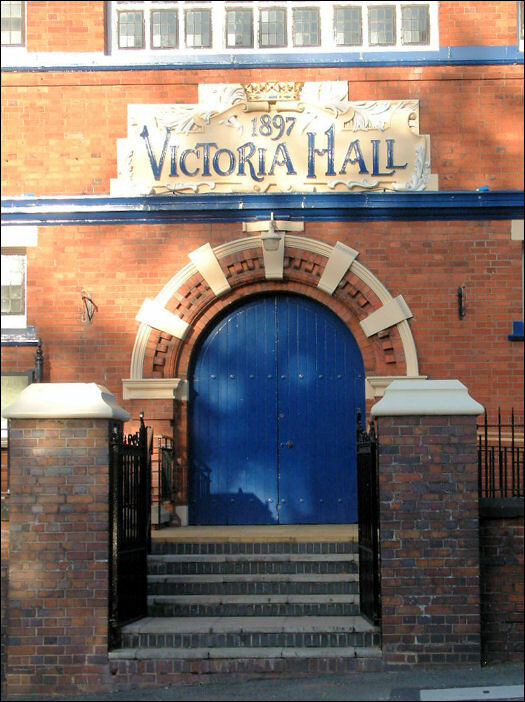 "At the side of Liverpool Road in Kidsgrove stands the Victoria Hall, designed by Wood and Hutchings and built in 1897-8. In addition to the council offices, which were added in 1934, there is the main hall with its large balcony and the committee room. At one time, the building also housed the library, reading room, and public mortuary. 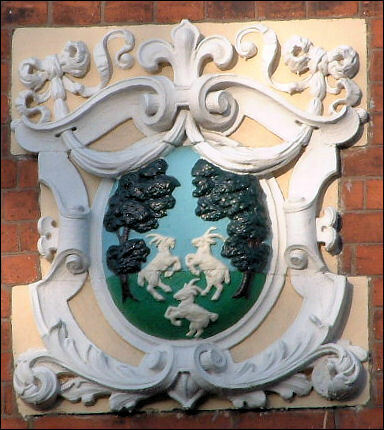 In the earliest records, Kidsgrove was part of the estates belonging to the Earls of Chester and subsequently came into the ownership of the Audley family. Kidsgrove, or Kidscrew as it was known, was just a village occupied by a small community of grafting colliers until the late 18th century, but, with increased demand for coal in the pottery industry in neighbouring Stoke-on-Trent, it gradually developed into an important mining centre. One of the earliest stories about the area concerns the legend of the Kidsgrove Boggart. The story appears to date back to the early 19th century when two men murdered a woman, who has never lain quiet. She sometimes appears in the form of a headless woman, sometimes as a white horse, but whenever she comes, trouble follows. 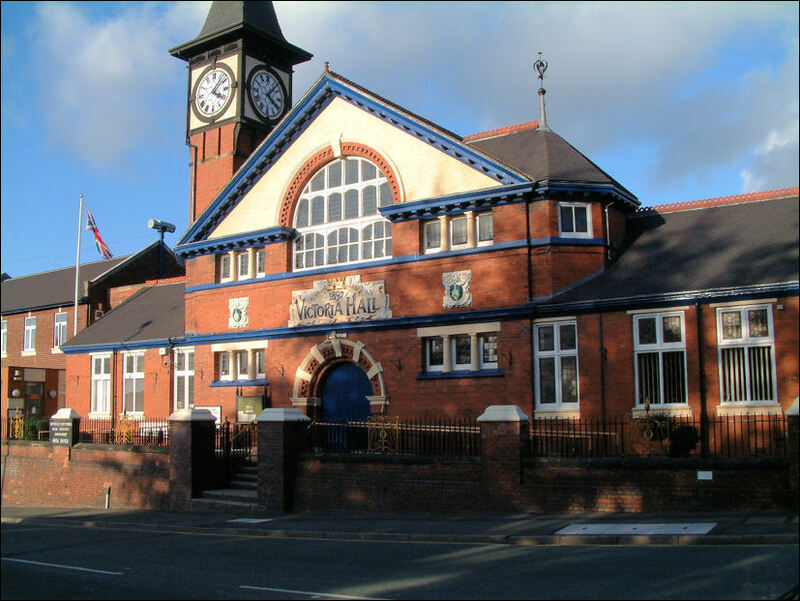 One of the first eye-witness reports came from a Miss Napier, who, at the time, was staying with her cousin at Clough Hall. While sitting in the garden one summer's day she noticed a lady in the distance coming towards her through the rose gardens. Rising from her seat, she advanced towards the person to speak to her, when, to her amazement, she saw the figure pass through the hedge on the far side of the garden and disappear. This was too much; it was only when she had managed to recover from the shock that she realised that the figure had been headless and dressed in the costume of an earlier age. Miss Napier was rather shaken by this experience but she was afraid to tell her cousin in case he thought she was mad. However, some time later, she plucked up courage and asked a gardener if he had seen a lady in the garden, to which he replied. "No Madam." But when she described her experience more fully, he answered, "Madam, several of the gardeners have seen a woman with no head, but I always thought they had been drinking."